I miss Boys Over Flowers! 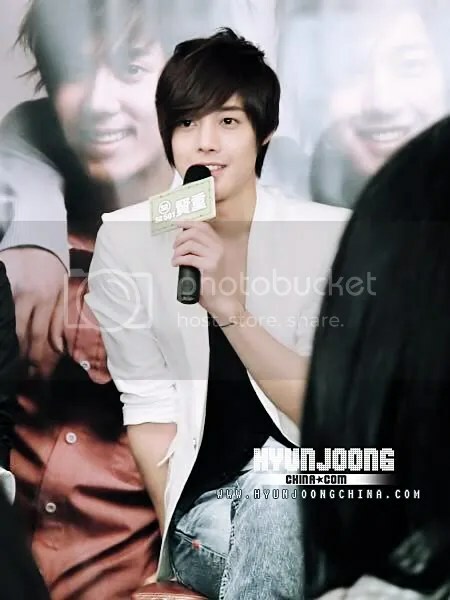 And I especially miss Kim Hyun Joong. 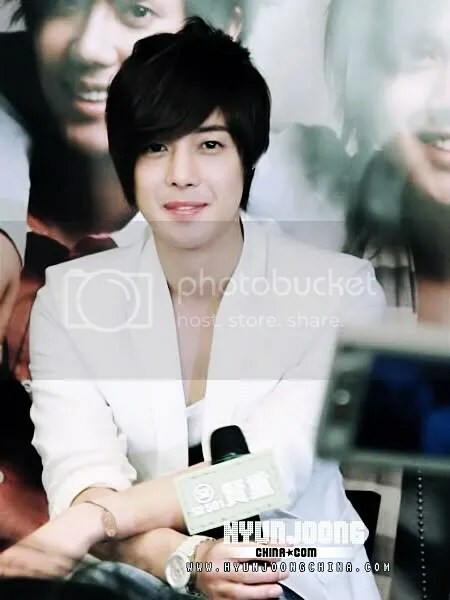 But now he’s back with the other SS501 boys and they have been a bit busy now, releasing their solo singles and a new song. The boys (SS501) recently had a Fan Meeting in Hongkong last July 1. 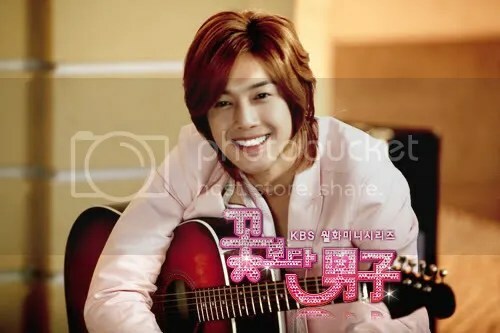 And from that fanmeeting I found a fan cam of Hyun Joong playing the guitar at the fan meeting. I miss him playing the guitar! Because of this I’m back tracking on the episodes of We Got Married! I miss the lettuce couple! 😀 I’d be in heaven if he would sing Falling Slowly for me like he did for Hwang Bo in We Got Married… who wouldn’t right! But at least from this video, he looks healthier compared to the last few episodes in Boys Over Flowers. Oh, and you can see Young Saeng and Kyu Jung in this video too.. but is it me or do they look sad.. aw… they’re probably tired.. but they made the effort to smile. They boys were featured on an interview on Arirang TV. And since it’s a global channel… the feature is in English and it has subs! Hyun Joong is getting hotter everyday! I miss these guys and it’s so good to have them back together again! ahaha… can’t wait for their next song! I’ve been missing my weekly habit of watching out for the subbed episodes of Boys Before Flowers. After the end of the show I wasn’t able to follow any other drama (yet — though I’m thinking of watching Jun’s Smile.. but I’m sooo busy as of the moment…). One thing I’ve been missing from that habit is watching Hyun Joong! Waaah.. absolutely adore this guy! Since I don’t speak Korean I don’t understand what they were talking about… But it was fun to watch their first meeting… awkward!!! ahahaha you will be seeing some of the ss501 guys too.. I think they are trying to help Hyun Joong practice for the office interview. Dambi also does some practicing with 2 other girls.. it was really fun watching it..